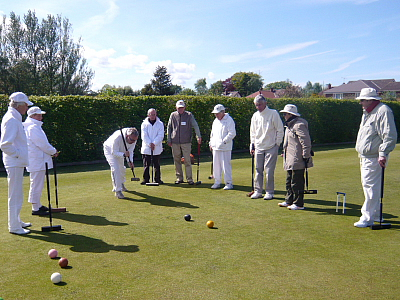 The north west Federation of Croquet Clubs offers coaching at all levels throughout the region to any club who requests such activities. All coaching is free, however, the provision of refreshments to our coaches is always appreciated. We provide coaching expertise from across the region and sometimes from further afield, they zoom into your club and provide high quality tuition, leaving behind a rich repertoire of new skills – our Flying Circus of coaches can deliver formal or bespoke events as requested. In the first instance, Club secretaries should discuss their club coaching requests with the Federation Coaching Officer. 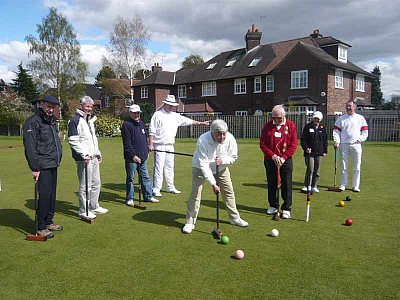 Requests can cover Golf or Association Croquet, from Beginners to Advanced and could also be formal Bronze, Silver or Gold courses as written by the CA. Our Coaching Officer will arrange the coaches for you and may even suggest a combined event involving players from other clubs. At the time of writing – all coaching requests should be directed to the Federation Secretary Paul Rigge. 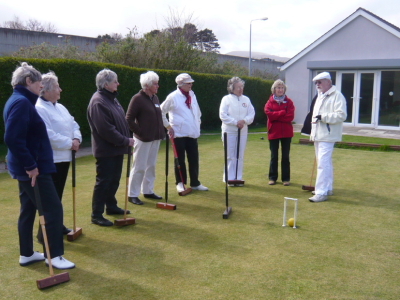 Any club wishing to have coaching should contact the Coaching Officer who will agree if, when and where such coaching shall take place and whether or not any other clubs may be interested in involvement. Coaches involved can reclaim the costs of fuel if they so desire by e-mailing a request for payment to the Treasurer, copied to the Coaching Officer. Any coaching arrangements made independently of the Coaching Officer are between the coach and the club involved and will not attract Federation funding.